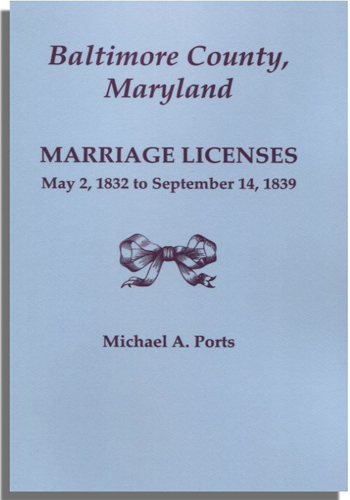 This is the fourth volume of Michael Portsâs transcriptions of Baltimore County marriage records; it extends coverage from May 2, 1832, through September 14, 1839, and references about 10,000 persons. As with the earlier books, Mr. Ports has compiled this volume from the microfilm of the original records at the Maryland State Archives. 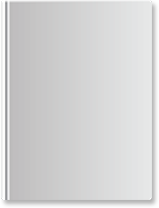 The transcribed licenses are presented in a tabular format with the date, license number, name of the groom, name of the bride, surname of the minister (when available), and page number in the original record. The licenses are arranged in alphabetical order by the surname of the groom; the index includes only the surnames of the brides. The researcher should be aware that the record contains only the date that the license was granted, not the date of the marriage ceremony.